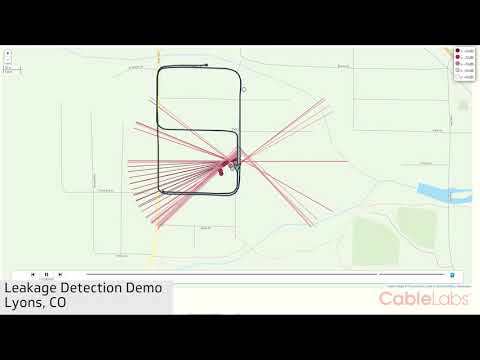 The CableLabs Proactive Network Maintenance (PNM) effort develops technologies and systems to proactively detect network problems before they impact the customer. In essence, our revolutionary technology turns every cable modem into a troubleshooting device, transferring that information to cable operators. Deploying PNM technologies results in faster and more accurate diagnoses of problems, faster repairs and ultimately a happier customer - all of which lead to lower costs for cable operators. One of our PNM efforts tackles signal leakage and noise ingress. The demonstration in our video is of an automatic data capture system that could be mounted on a vehicle that normally spends much of the day driving through neighborhoods, such as a garbage truck, a dry cleaning delivery service, or a taxi cab. The system can be completely automated to capture, upload, process and prioritize network maintenance. Watch our video below to learn more about this groundbreaking technology. Don't forget to subscribe to our blog to stay current with our PNM effort.